Kranevo offers accommodation in small hotels, suites and private rooms for rent. The prices in the village of Kranevo are lower than prices in the nearby resorts. 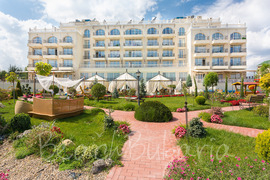 BeachBulgaria.com offers Drujba Bay Hotel and Drujba Garden Hotel for online bookings. 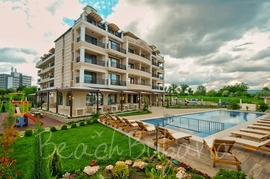 Get information about the hotels in Kranevo resort on the Bulgarian Black sea coast. Check out maps and photos of the hotels. Choose the one that suits you best and contact us. Therma Palace balneology hotel is located on the northern coast of the Black Sea, between the Albena and Kranevo holiday resorts, 300 m away from the beach. The balneology hotel is situated in a park area. All inclusiveEarly booking Sunset Resort Pomorie - 20% discount until 31 May 2019!